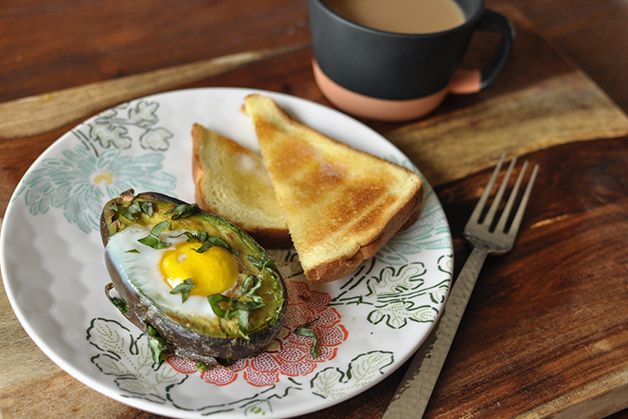 These avocado baked eggs are as beautiful as they are nutritious, and so easy to make with the help of little hands. 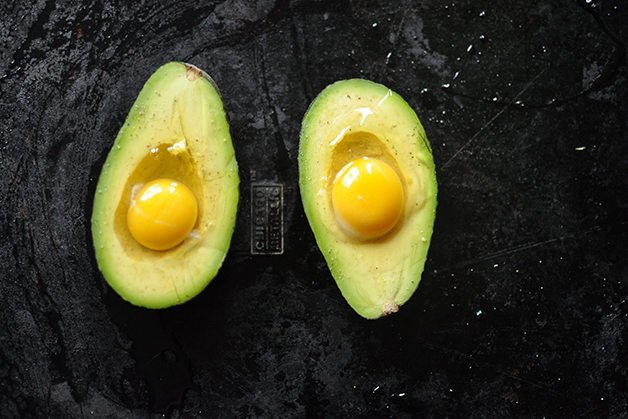 Your kids will love cracking the eggs into the avocados, and after you pop them in the oven they’re done in under 20 minutes. 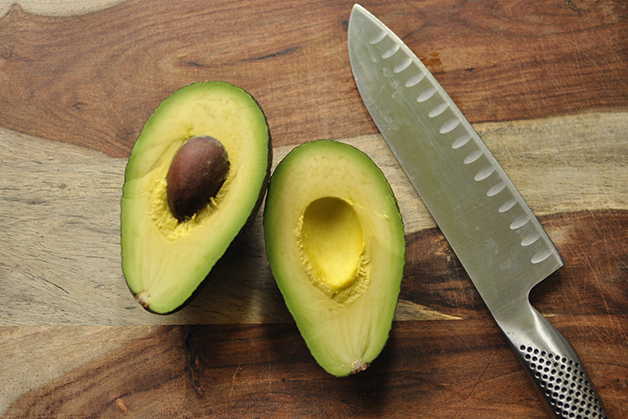 Step 2: Carefully cut the avocado in half and then slice a small piece off of the backside of each half to create a flat surface for the avocado so that it lies stable on the baking sheet. 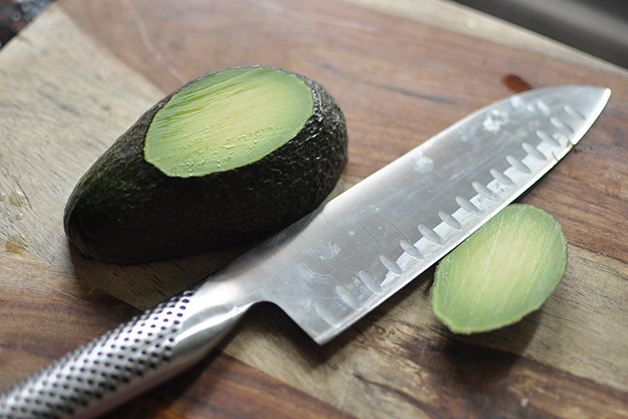 Step 3: Place the avocados onto a baking sheet, larger cut side up, and season with salt and pepper. 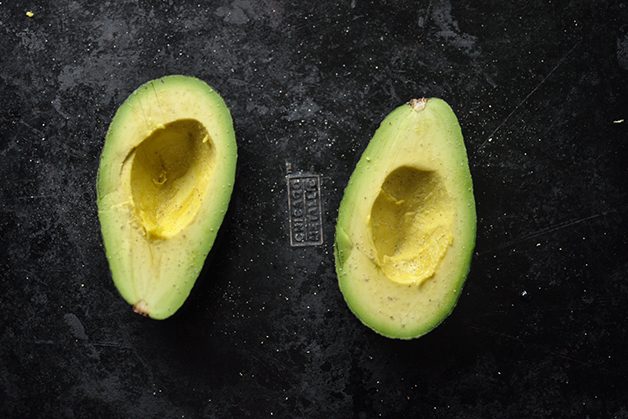 Step 4: Crack an egg into each of the avocado halves and season again with salt and pepper. Step 5: Bake for 15–17 minutes or until eggs are cooked to your preference. Garnish with chopped fresh herbs of choice and serve with a few pieces of toast. Enjoy.